Mari, how is your brain “shortcake” doing? After 15 years, have you destroyed the shortcake because of too much headbanging? Why does TsuShiMaMiRe keep coming back to America? Mari: Because we love America, and because the American audience always supports TsuShiMaMiRe. Thank you all so much. I want to have a drink and “Kanpai” with you all soon! How have your live shows changed since you started the band? What new risks are you taking now? Mari: The live style of our show — where we mainly thought of going wild, dancing, and having fun — has changed into the live style which concentrates on playing our music and making our audience dance even more. We’re watching our fans more and making sure they’re grooving, but of course we still go wild on stage, too, whenever we get the crazy loud reactions from our audience. I don’t know how to describe our risks, but I can say we’re always trying to shake it up, trying to push ourselves just a little more each time. Maybe that’s why I’m whiplashed from too much head shaking? 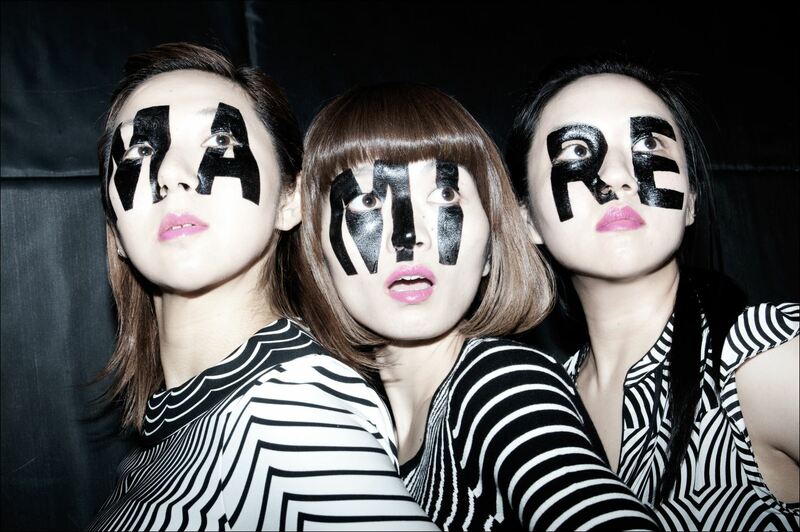 Your fast-talking style is one of the things that makes TsuShiMaMiRe different from other bands. What song started this style? What feeling do you get when you go so fast? Mari: It began with “Noumiso Shortcake.” Recently I do “Speedy Wonder” in a fast-talking style, too. I talk fast naturally, anyway, so I don’t feel like it’s that different! Japanese tongue twisters are a game we’ve had since old days and children enjoy them. For example, “Namamugi namagome namatamago” and “Akamakigami Aomakigami Kimakigami” etc. I’d be glad if people could have fun singing TsuShiMaMiRe’s fast-talking songs. I hope all of you will sing at karaoke. TsuShiMaMiRe has its own label, Mojor Records. What’s the meaning of the name? What difference does it make to be in charge of your label? 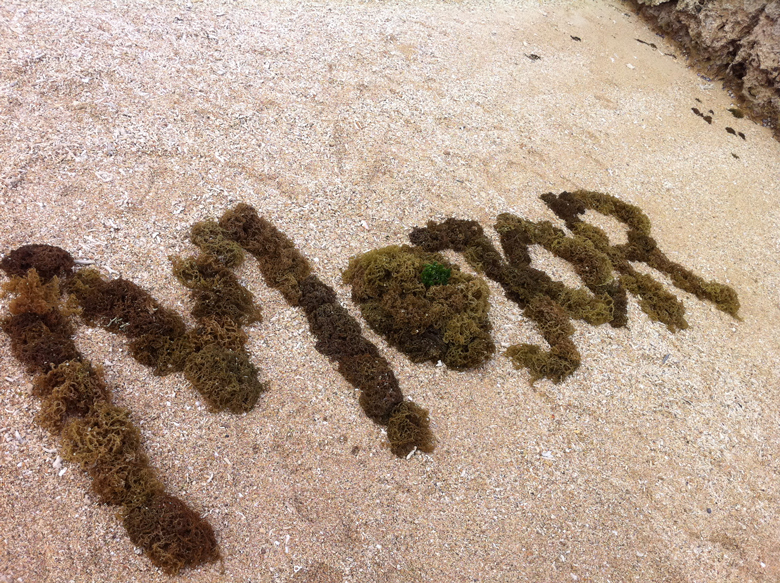 “Mo” can also mean “algae.” We created a logo with algae recently. Running a label ourselves is a lot of work, but it’s fun, too. Since we can’t blame someone else for difficult situations, we’re always serious about the business part. We have to work our hardest. So, I think that makes our current music even more focused than before. Being an all-female rock band in Japan is difficult. What challenges did you face when you started? Mari: People thought that women were weak and couldn’t play with heavy sounds, so some male bands made fun of us. But our drummer Mizue could play with heavier sounds than men could, and our bassist Yayoi played with thicker rolling bass lines than men could. So, we could always overpower those male bands. The special edition of your greatest hits compilation MaMiRe contains early recordings from Chiba university. What would you say to young TsuShiMaMiRe if you could go back in time? On this new tour, how are you going to conquer America and make everyone love TsuShiMaMiRe? Mari: We have to do our best performance. That’s the only way. We want to make people dance with grooves that only TsuShiMaMiRe can create, and we want them to love us! And we want to “Hang out” after the show too!